You might rub elbows with brewery employees at the Braustuben; it is on the site of the brewery. 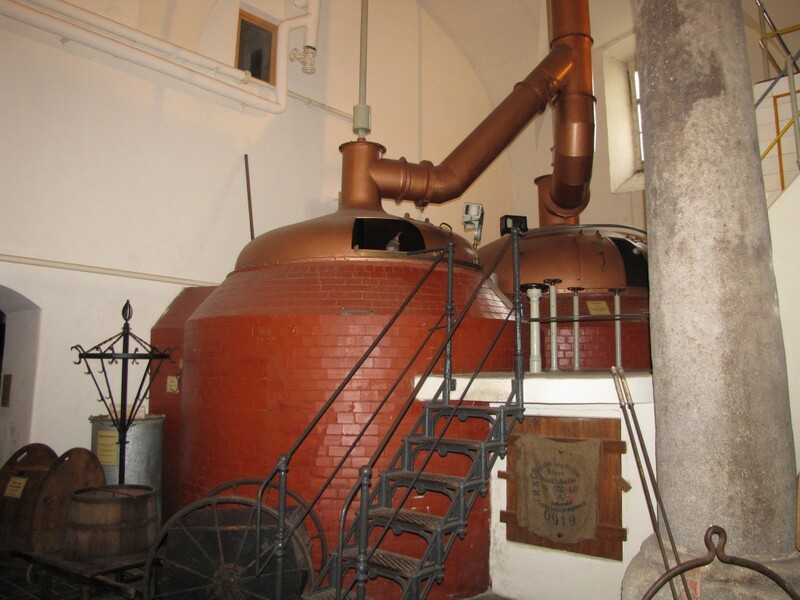 The Augustinian Monastery founded the Augustiner Brewery in Munich in 1328. Napoleon’s sweep across Germany forced its secularization in 1803 and the brewery found its way into the hands of the Wagner family buy the middle of the 19th century. 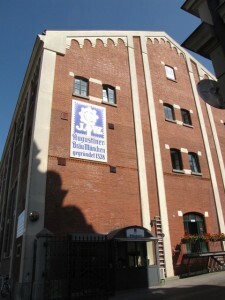 Augustiner is one of the last two large independent breweries in Munich. 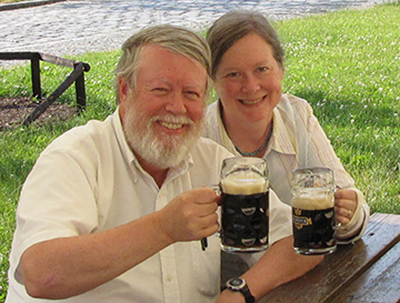 The last of the Wagners, Edith Haberland Wagner left her majority share of the brewery to a charitable foundation whose mission is to provide good beer at fair prices to the people of Munich, and to use “profits” to better the city. Happily tourists are included in the beneficiaries of the foundation’s efforts. The Hirschgarden is the biggest in the world, and the Keller and Biergarten is the best center city beer garden anywhere. 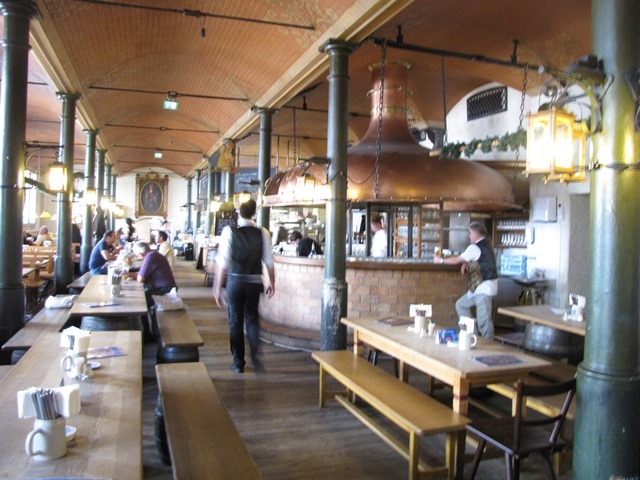 Brewery restaurants in downtown Munich provide decent beer and Munich’s best beer. Most serve from wooden barrels; Augustiner is the last of Munich’s breweries to use them extensively. The main hall of the braustuben used to house the brewery’s horses. 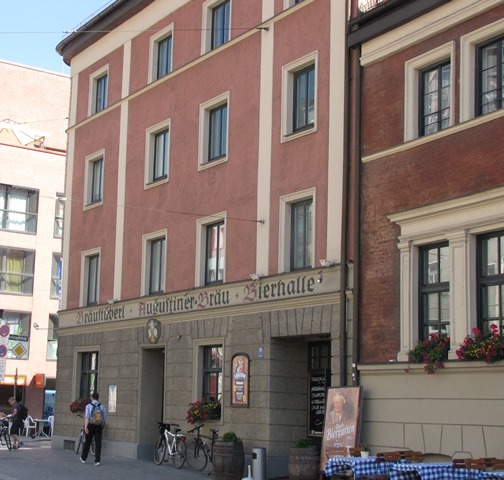 While the prices of all the places you’re likely to run into are fair, the best bargain in the city for Augustiner beer is in the Bräustuben, the brewery restaurant at the current site of the brewery at Arnulfstrasse 52 a short tram ride from the main station. Only 5.5 Euros buys you a liter of the glorious Original Helles, which is one of the best lager beers in the world. 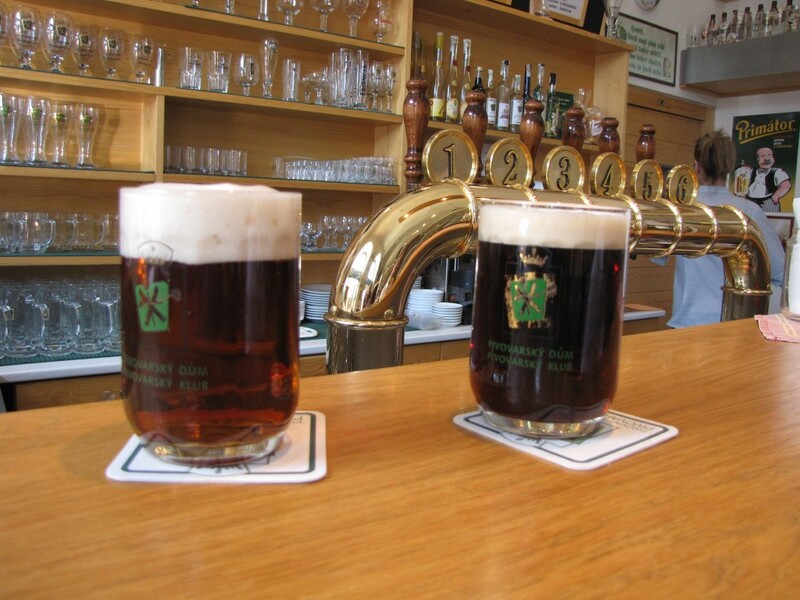 The dunkel goes for the same rate and the Edelstoff, slightly stronger and sweeter, is only .20 Euros more. A daily menu features specials that go beyond schnitzels and roasts but those German standards are tasty and affordable. A schnitzel or perch fillet is less than 12 Euros and some filling choices drop below 10 Euros. It doesn’t hurt to get a reservation, but we’ve never had a serious time being seated. The main hall used to be the brewery stables – it’s big and noisy and exciting. These days, we prefer that relative serenity of the Bräustuben, with its rich dark woods and comfortable table seating. 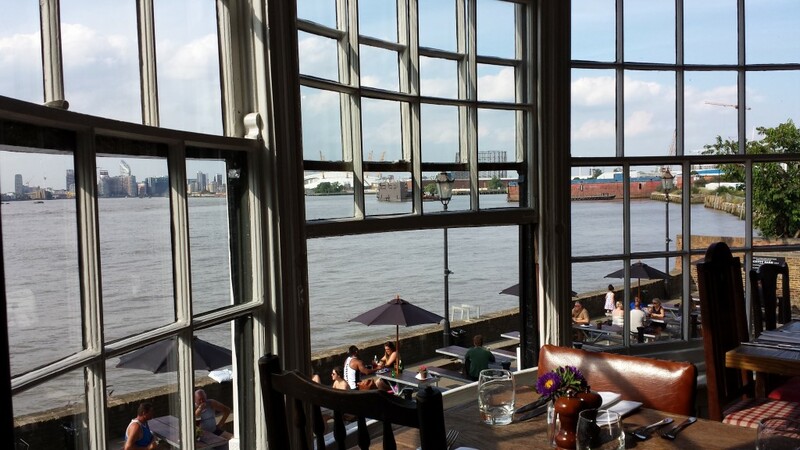 Less of a bargain, but more of an adventure is the Keller on the opposite side of the tracks from the brewery. The garden is hard to miss; we’ll take you downstairs in the Keller in our next post.